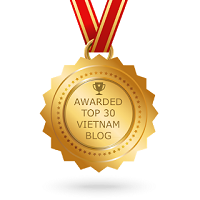 Saigon Sights | Hello Saigon! Been crazy busy lately and just want to share some of the sights around the city this week. 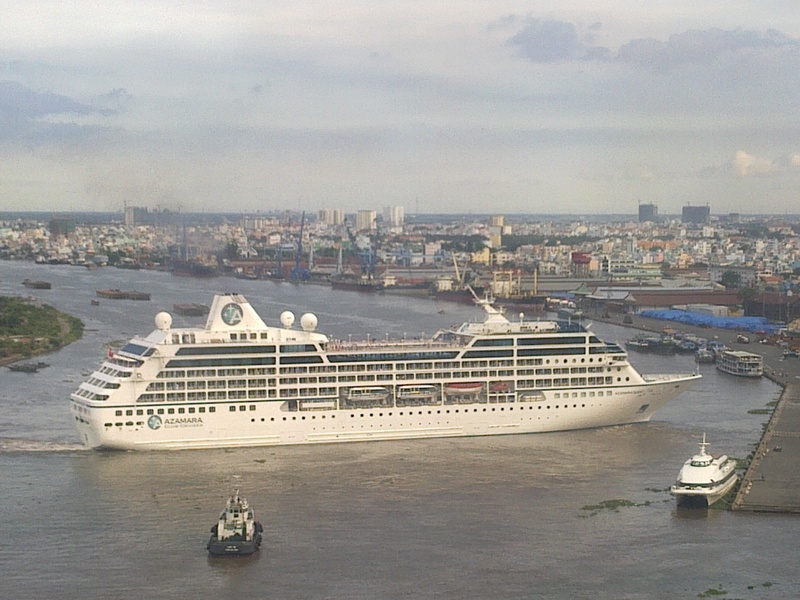 Saw this cruise ship maneuvering in the river. Good that it fit the width of the river. 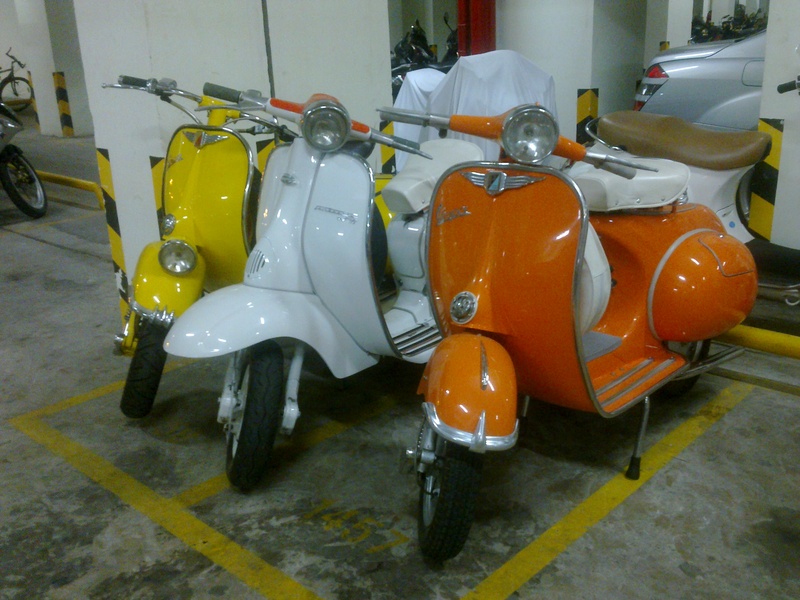 A couple of Vespas and a Lambretta makes a perfect eye candy. Wish I have guts to ride on one. Spotted this chair in Dulux Decorative Center along Nguyen Hue St. 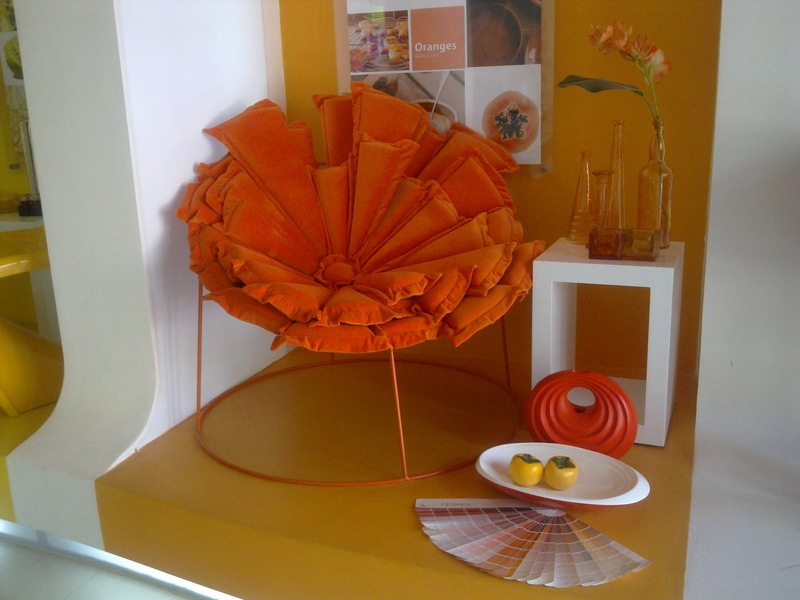 I thought it was THE Kenneth Cobonpue Bloom Lounge Chair. But of course it wasn’t. 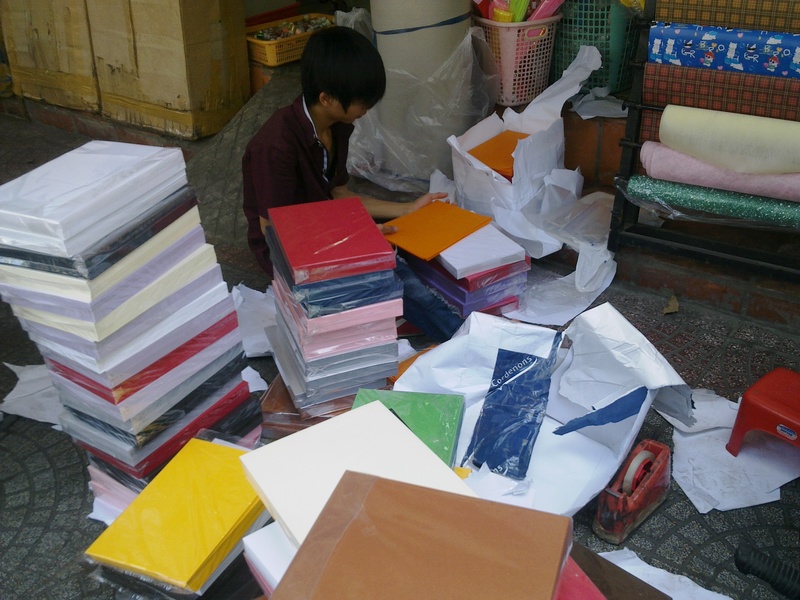 Chanced upon this young man counting papers in front of Ngan Thong. I don’t envy him one bit. Should definitely ride on a motorbike before u leave VN 🙂 just pick an empty straight road (the road in front of Saigon zoo in D1 will be good) and ride away!!! Hello Lyra, riding my Vespa is certainly one of the great moments of every day. You should try it sometime, in D2 you can find some peaceful places to try it out.